The avocado tree is erect and can grow to 18 m or more with a trunk 30-60 cm in diameter. Almost evergreen, the leaves are alternate, dark-green and glossy on the upper surface, whitish on the underside; elliptic or ovate and 7 to 30 cm long. The flowers are small, pale-green and are borne near the branch tips. The fruit is pear-shaped, oval or nearly round, between 7 to 15 cm long and 5 - 10 cm wide. The skin is usually very dark-green, reddish-purple or almost black. The skin can be both smooth or pebbled, glossy or dull, thin or leathery and up to 6 mm thick depending on the variety. The flesh is entirely pale to rich-yellow, buttery and bland or nutlike in flavour. 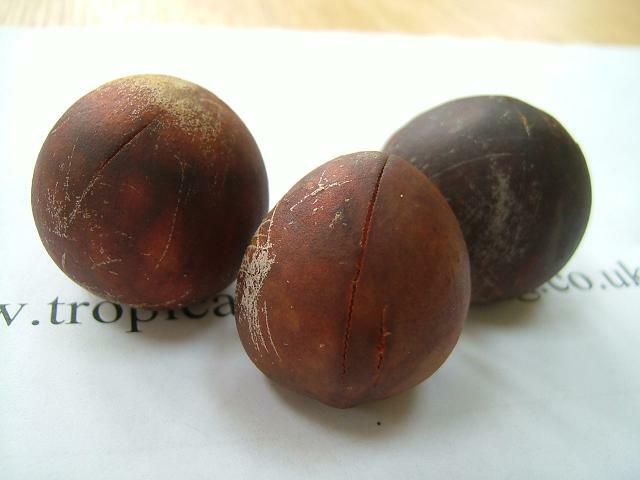 The single seed is round or ovoid, 4-6 cm long, hard and heavy, ivory in colour but enclosed in two brown, thin, papery seed coats often adhering to the flesh cavity. Avocados are primarily served as salad vegetables, merely halved and garnished with seasonings or other dressings. Often the halves are stuffed with shrimp, crab or other seafood. The seasoned flesh is sometimes used as a sandwich filling.Avocado is the main ingredient in Mexican guacamole.Avocados are never cooked because of its tannin content, the flesh becomes bitter if cooked. In Brazil, the avocado is regarded more as a true fruit than as a vegetable and is used mostly mashed in sherbet, ice cream or milk shakes. Avocado oil is employed in making facial creams, hand lotions and fine soap, it can also be used in cooking being rich in vitamins A, B and E but is relatively expensive. Avocado contains a monosaturated fat called oleic acid that is known to reduce total and LDL cholesterol levels and increase the good HDL cholesterol. It also offers protection against breast cancer. Avocados have been shown to prevent high blood pressure, heart disease and stroke due to presence of very high amounts of the mineral potassium. 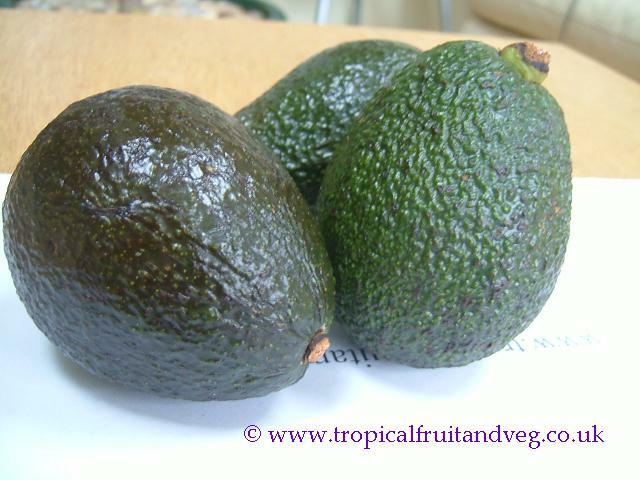 The high concentration of carotenoids and tocopherols in avocados has been proved to protect against prostrate cancer. Avocado requires a tropical or near tropical climate and high atmospheric humidity especially during flowering and fruit setting. Some varieties can withstand temperatures as low as -4�C but most varieties will be killed at temperatures below 1�C. 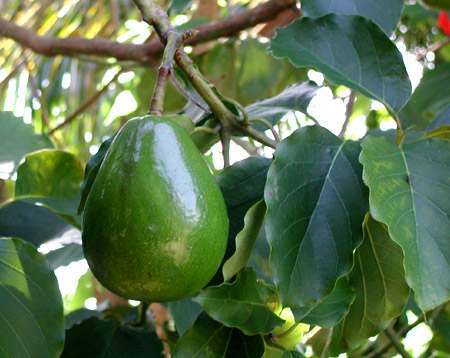 The avocado tree is very versatile and will do well in red clay, sand, volcanic loam, lateritic soils or limestone. The desirable pH level is between 6 and 7. The tree requires good drainage. It cannot stand excessive soil moisture or even temporary water-logging. 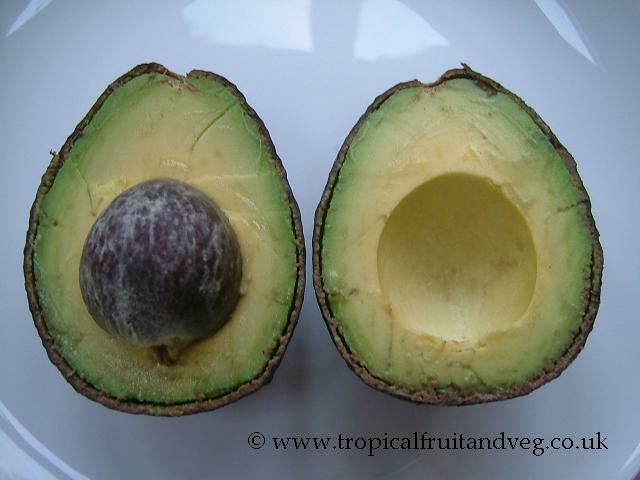 Avocado can easily be grown from seed but lose viability within a month. They germinate in 4 to 6 weeks, however, it can take 4 to 6 years to bear fruit which is unlikely to be true to the original parent. Commercial trees are propagated by grafting onto rootstock grown from seed. 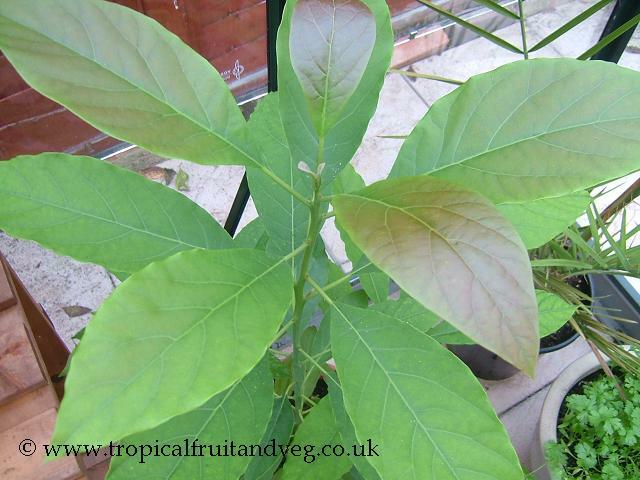 Avocado can also be propagated from cuttings but they are difficult to root. Avocado trees have excellent foliage and make great specimen plants. They can be grown in a container in the UK - ensure that they are brought inside during winter and kept near a south facing window to give it plenty of light.